Next band we are introducing to you is no less than Czech death/grind perennials and actually the veterans of the scene, FLESHLESS. No need for a long introduction as they have been active since as early as 1990 under the name of ZVRATOR and since 1993 of FLESHLESS. The band's frontman Vladimir is a well-known promoter of the extreme underground scene and is also the owner of the record label NICE TO EAT YOU records. The quartet of mates called FLESHLESS have lead so far a very fertile existence releasing eight full-length albums, many split releases and demotapes and done of course tons of shows all around the world. Moreover, these gentlemen don't intend to stop decidedely as this life style is simply in their DNA. FLESHLESS is one of the bands that took place at the first OEF edition, so we have used the great opportunity to invite them for the Wednesday's BACK TO 1999 OEF PARTY!!! They will crush your bodies!!! The beginnings of the Czech deathmetal band Fleshless date back to 1993 in Děčín. In the 25 years of its existence, band released 9 studio albums. 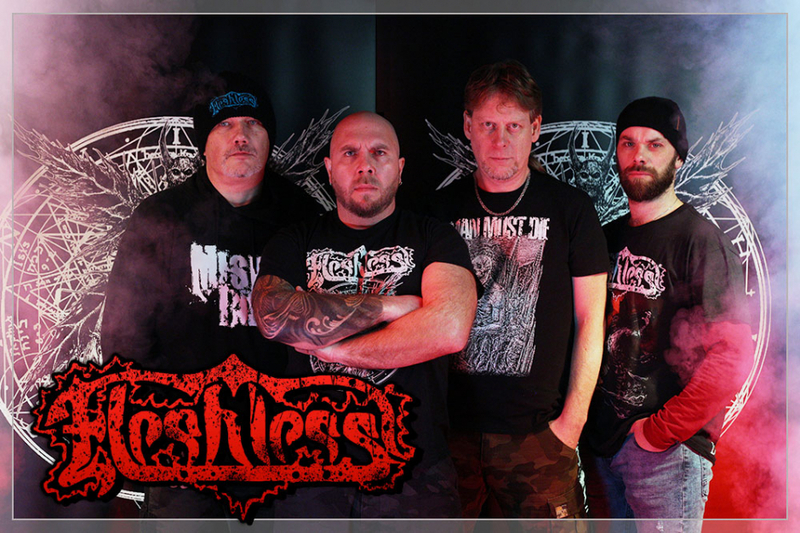 In May 2018, Fleshless plans to release a new 10 studio album. The latest news is EP Dethroned in Shadows released Nice to eat you records in May 2017. EP Dethroned in Shadows received a very positive rating from fans and music critics. Until now, Fleshless has had almost one thousand concerts and festivals across three continents. There was also a tour of South and North America or Europe.